Express Bus maintenance program keeps us and you on the road and moving toward your destination, safely. For the past 3 years, Express Bus on average travel over 200,000 kilometers per month. That’s equal to 5 times around the world with virtually nill mechanical disruption. Additionally, you could charter over 250 trips daily with Express Bus and never experience a breakdown. This is all because of the elaborate preventative maintenance program we have in place on all our vehicles. With multiple affiliate partners nationwide we always have your back to ensure excellent service. Take confidence in the team behind the scene. 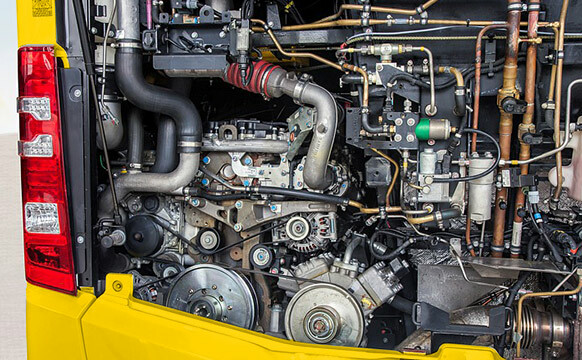 Express Bus maintenance team have a combines 50 years experience in the transport industry. This experience is a great benefit to all our customers. Our engineering team works hard to ensure every trip goes as smooth as possible. Maintenance is an aspect one never should never have to contemplate while on a journey. With a full historical record of each vehicle held on file and a pre-departure check carried out on every vehicle before it leaves our depot, you can trust in us to deliver ahead of the rest. Our clients know we provide the most thorough maintenance team in the industry. Learn more about the difference an Express Bus’s engineer can make on your next journey.